Context: I'm very seriously considering upgrading the Novatech 30 wheels that came stock with my Kona Private Jake. Specific reasons are: I am under the impression that their 1940g are kind of a pain to get up to speed, generally they feel sturdy but not very sharp as far as handling and surface feel go, and overall kind of draggy. Also the engagement system from the hub body is starting to jump from time to time and some spokes are getting loose. So while I might look into getting them serviced eventually and keep these as trail-basher wheels or smtg, I think I'd rather just pull the trigger on a midrange upgrade for now. Considerations: I have found good deals on two DT Swiss wheelsets and I'm looking for input. Namely: the DT Swiss Enduro Road 1600 Spline 23 and the DT Swiss Cross Road 1600 Spline 23. Has anyone experience with these wheels? If so I'd love to hear it. If you're a wheels-connoisseur (which I'm certainly not), do these seem like a reasonable choice and a sensible upgrade from where I'm coming from, for a rider on a budget but with lots of ambition (mostly tarmac daytrips / common gravel riding / occasional reasonable singletrack use and ultralight bikepacking)? And last but not least, how does one chose between the two DT setups? As far as I understood they're exactly the same wheels but with added 2mm width, from 20 (Enduro) to 22mm (Cross) and with respective weight 1638 and 1728g. I am currently riding on inner 20mm rims with the Novas. I read that the 2016 Private Jake frame will accomodate tires up to 40mm (true width) but not above. So I could not use the extra width for running massive rubbers with my current frame even if I wanted. On the other hand for trail riding I may be missing out if I'm opting for the narrower rims. We are also looking at a 100g weight difference. While not a weight weenie myself but more of a week-end warrior, if I'm to shell out my hard-earned dineros and my main goal is to get snappier, crispier wheels, i think it might be reasonable to pick the jump from the 1940g Novas to the 1638g Enduro 20mm wheels (rather then stop halfway at 1728g with the Cross 22mm wheels). Thoughts? Cheers guys. I'm a big fan of DTswiss hub and wheels. They are tapped for tubeless, they come with all sort of accessory: end-caps, direct mount adapters, tubeless valves. I was lucky to get good prices on German online site compared to canada (typically entire wheelset for the price of hub only or rear wheel in canada!!) I have a set on my fatbike and my gravel/road bike. I have ER1400 (1475g)model that comes with inner width of 20mm, a lighter rim and dtswiss 240 hubs. 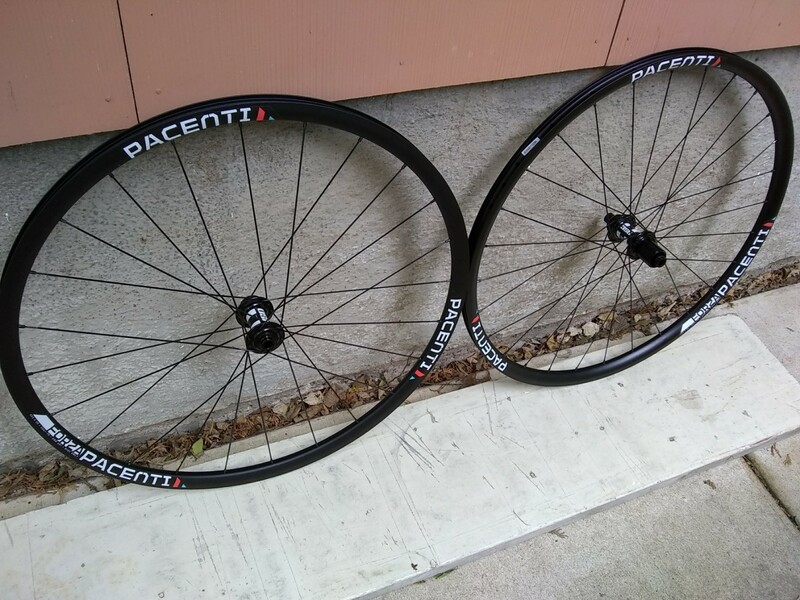 (http://ridinggravel.com/forum/?p=post%2Fdtswiss-wheelset-9656879%3Fpid%3D1304042874). I upgraded to this wheelset from a 2050g wheelset. I'm running gravelking slick 38c tubeless (measured at 40mm) at the moment and I'm pretty satisfied with this combo. Between the two wheelset above, I think if you're ridding most of the time off road (gravel), the 22mm inner width rim will give you more volume and stability. 100g is not that much of a difference. If you're more into road ridding with gravel from time to time, the 20mm would be my choice. I have a set of PR Spline 1600's (rim brake) coming in the mail today, so after I can get a couple rides on them I'll report that. Otherwise I have one set of non-series disc brake wheels that came on my Warbird, which I was very impressed with. And a bunch of other wheels with DT Swiss 240/350 hubs. From a longevity and serviceability standpoint, I don't think they can be beat. You're going to get thousands of miles out of the bearings, and when it's time to change them, they are quick and fairly inexpensive. Same philosophy for their freehubs. In other words, if you're going alloy, I think they are a very good choice. As for width, I agree with Lewis. If they are mostly road wheels (25-32mm tires) then go with the narrower model. If you're running 32-40mm rubber, go with the wider ones. Thx for the input, Clarksonxc. Very much appreciate it. Keep us posted, for sure! Up to this point i was 80% on picking up the narrow 20mm ones. But would the wide ones really be significantly tougher? I wouldn’t have expected that as the builds seem very similar! I could appreciate it if they were, though. Especially as i’m not exactly featherweight, currently weighing at 185lbs. But: on my current rims of inner width 20mm i already see my Overide 35c tires stretched to an almost flat profile, which i understand like they’re calling for some 38c. I figure if i go with the even wider 22mm rims, now i’ll probably need 40c tires to get optimal profile, but that’s actually the maximum tire size my frame will allow, according to a LBS manager who has the same bike (2016 Kona Private Jake). Seems like a very fine line to walk. Is the trade-off worth the gamble, potentially loosing some tire fitting options? Then there’s the 100 smtg grams of rotating mass we would be saving, going for the narrow ones. Really not a big deal but i’m really hoping for more responsiveness then I get from my current Novatech 30s. If your bike's max tire clearance is 40mm, then the 20mm rims shouldn't hold you back at all. Looking closer at the rim specs, the only difference I can see between the two is the max rider weight. It lists 120kg for the 20mm wheels and 130kg for the 22mm wheels. I doubt you'll approach that unless you're planning on doing some serious bike touring. So all that said, I'd go with the 20mm rims for your application. The weight savings vs. max tire width limit seems worth it for you. BTW - I received my PR Spline 1600 wheels in the mail Saturday and mounted them to my steel Felt F4130 (didn't want to mess with the bike they'll most likely reside on permanently) and all I can say is WOW! I had a "decent" set of Shimano RS100(? )'s on before, and these blow them away. Absolutely on par with a HED Belgium/DT240 set that I have, and for a fraction of the price. They are listed at 1590g and I weighed them at 1630g, but a little error should always be expected. I'm a big fan of DTswiss hub and wheels. They are tapped for tubeless, they come with all sort of accessory: end-caps, direct mount adapters, tubeless valves. I was lucky to get good prices on German online site compared to canada (typically entire wheelset for the price of hub only or rear wheel in canada!!) I have a set on my fatbike and my gravel/road bike. I have ER1400 (1475g)model that comes with inner width of 20mm, a lighter rim and dtswiss 240 hubs. Hey I found a pair of ER 1400 online for almost the same price than the ER 1600. Can you walk me through what the advantages should be, from picking the 1400s over the 1600s? Is it just a matter of weight? edit: Also, as I was hesitant between the CR 1600 (wider, heavier) and ER 1600, is there a CR 1600 equivalent / counterpart to the ER 1400? Meaning 22mm inner width, likely a bit heavier? Can't quite find it. I don't think there is really a right or perfect answer to your question, except that the wider 22mm rim may favor the larger 40ish tires. But that is not to say you won't get good results with 20mm also. If you really value weight savings, go with the narrower rim, which will still work well with the max tire that fits in your bike. It is a nice wheel package, and hard to beat for the price, with the 240 hubs and all. But, I wonder if you would consider some other more custom options. 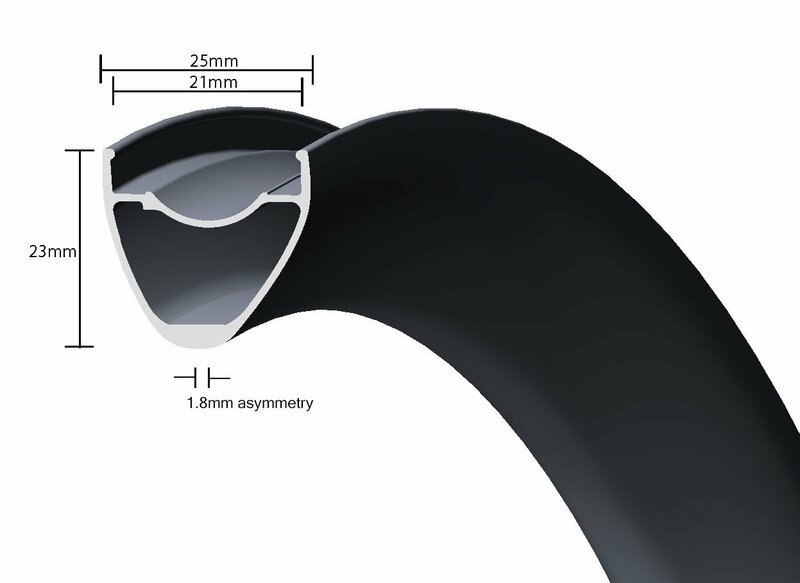 There are also rims that are 21mm inside width that have a nice light weight similar to what you are looking at. And it is possible to do a carbon rim build, for not a lot more than what you are looking at. This is a nice rim that can be built into a very nice wheelset for about $1K, with DT hubs. I also really like this rim -- There are options. Yes, I am a wheel builder. Hey guys! Ended pulling the trigger on the DT Swiss ER1600 as the deal I found was so ridiculously good, and they should fit the 40c rubbers my frame allows (max.) just fine. However looking my order over I found that there were not one but TWO different ER1600 models, and we'd been looking at the wrong spec sheet all along!!! So they're the ER1600 23 and the ER1600 32. Admittedly I'm not very familiar with wheel specs implications but, does a deeper rim also means it can be significantly more aero? Should there be other tangible upsides to this design? Thanks guys. Cheers. A set of those DT swiss came on my bike. (23mm inner width). They are about perfect for what they are. I can’t complain. I use them for 28-40mm tires (and one 54mm tire). I love the width that gives me extra volume, and stability with low tire pressures. Oleritter also built me a set of carbon wheels with the same sizing, just a bit lighter. Certainly the carbon wheels accelerate faster/easier. If you have a little extra coin, that would be a huge upgrade over the wheels you have now. So you paid about $550, is that right? $550-600 is what I charge for a custom wheelset with DT Swiss 350 hubs. So yeah, that's pretty good. Thx for the input, @Chas! @Oleritter: not exactly. I paid CAD 522$ with international tracked shipping included, which roughly translates to USD 400$! Way, way below MSRP. That leaves me with spare money to upgrade other gear like brakes, shoes, etc. Nice set of wheels btw. These DTs will be my first ever upgrade from stock wheels, and certainly not the last. In due time i might hit you up for carbon! I appreciate your chiming in, guys. That was a killer deal. Please don't tell anyone else where you got them. Haha I told you it was all about the deal! It's actually reading through @LewisQC's wheels thread that I found the specific online store who's discounting them so low, so thanks to him. It's great to have a ressource such as these forums because otherwise, I cannot find nearly enough grounded / not retail-biased info as i wish I could on like a thousand questions I have about gravel gearing and riding. This being said that store had the CR1600 Spline 23 in stock at first. I didn't even have the chance to buy them though, they sold out too quickly. For the ER1600 Spline 32s, even after I snatched my pair they still have some in stock though, but I'm assuming they must be low on stock. That price point is ridiculous honnestly. I am fully conscious that encouraging independant wheel builders is best, however my student-gearhead wallet couldn't overlook this high-volume store deal while there are still so many things that need upgrading on my new bike. It's a budget / timing question. I know eventually I'll do right. @Oleritter lastly, didn't you sell Juin tech brakes? I believe i ran across this info somewhere on the forums. I'm pondering wether to upgrade my Rival 1 - TRP Spyre brakes setup with a pair of Juin hydro-mech brakes or just save up a bit and go for Rival full hydros eventually. I don't blame you. I understand budgets. Yes I did sell some Juin Tech brakes. The mech/hydro ones turned out to be a little disappointing, and I did eventually find reports of people having problems with them, so I am not recommending or selling them anymore. The MTB full hydro ones have been really good, though. I think you should stick with the Spyre until you are ready for a full hydro upgrade. Thanks man, I'll probably do just that then. Hey guys! 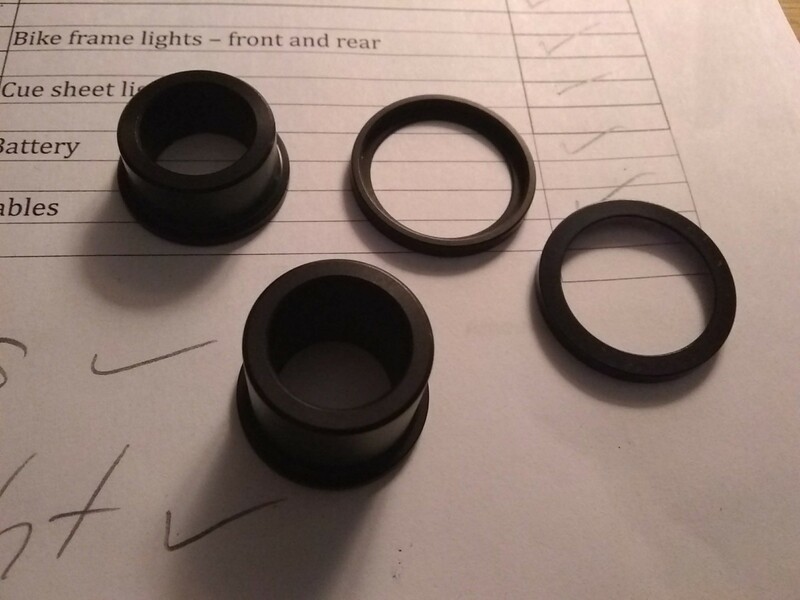 The last 48h were quite the roller coaster: i received the wheels from Merlin Cycles UK, well packaged and all except... they didn’t include the 15 thru-axle endcaps (which i need)! First wtf moment, as its very clearly stated on DT Swiss that they come with the wheels. Their customer service hadn’t much to say about it, so i ended up sourcing them locally ($$). Then some more bad vibes: original 12mm endcaps were a b*tch to remove but then the disc side 15mm cap (we checked and double and triple checked if the part # was the correct one, and it is, according to DT), the cap won’t even cover the whole bearing area, nor ‘click’ into place like i’ve seen in some YouTube conversion tutorial vids. Rather, it just loosely hangs on there, mostly secured by the centerlock disc that locks over it and when the wheel is mounted, then only is it held in place snuggly by the axle itself and the fork that’s squeezing on it. According to the LBS guys it « should be fine » — well. Bittersweet words, i guess. So i went on a testride. 80km of pure bliss, yay! They’re hyper-smooth, spin well and accelerate in a heartbeat. Really happy, if only i could be really positive about that endcap issue.. Here are a couple of pics for you to see what it’s about! In daytrip mode. And thanks again so much for your input guys. @Oleritter, @Clarksonqc, have you guys ever made the conversion to 15mm on such a hub? Glad you had a great ride! Bike looks great with the new wheels. Always really liked the Private Jake. Saving money is great, but these are some of the problems with mail ordering bike stuff. Yup, all the different standards can be a pain. I went the other direction, converting 15mm to 12mm (most disk brake wheels tend to be directed towards mountain biking and 15mm). The cap should pop off and the new one should pop on just like it – fitting snuggly and covering the bearings just like the original. I watched the “omniscient” youtube video for examples, and just put a flat screwdriver in about ¼” and inch (or so) and that was enough to leverage to pop it out. I had thought I could just put in a 15mm to 12mm tube to use the 15mm through axles on my 12mm bike, but then the 15mm end caps were too “fat” to slot into my front fork dropouts, so I had to swap out the end caps too. Methinks you are missing something. @Oleritter: these are exactly the new endcaps i purchased from DT and installed. Installed both caps and then rings over them to secure, only the disc side really just loosely hangs on there. However like i said, once mounted between forks and with axle coming through, it all works flawlessly. But i just don’t understand how DT could’ve missed some 0.2-0.5mm that would’ve made it positively and securely click into place on this particular side. Faulty part? Up to now many have said that it’s ok if there’s a loose-ish feeling when the wheel is unmounted; system would be designed to function optimally when mounted. But i do remain skeptical. It confirms that the ER1600 Spline 32 (350 hubs) are compatible. If that is the case, you have done it correctly. That looseness is normal when the wheel is not mounted. You're good. - However at high speed and cadence i noticed that i’m getting an occasional, tiny « clic » or « tic » sound from the back wheel. It comes in and lets itself be heard 6 or 7 times within the next minute and then vanishes until maybe 10 minutes later. I’m thinking it could be some spoke « breaking in » or something along these lines. @Oleritter is that a thing? I’m thinking that after the next couple of hundred k’s if i’m still getting that sound i’ll get the wheels to a competent shop so they check it and maybe re-tension it up. - Lastly the hub sound. Its really just a matter of personal preference, but i was expecting / hoping for a more positive sound, à la Campi or Fulcrum. So far it’s been very hush-y. I think i noticed that the volume has been slowly increasing (as the wheels’ baby grease slowly gives way? ), but it’s still a very quiet hub. Mostly an FYI. Thanks for the tip, I'll certainly look into lowering my average psi. Actually, I realize that this pressure (55psi) I determined was the best all-arounder pressure on my previous bike, before I switched to this Private Jake this summer and also upgraded wheels. Said bike was an old school CX with very narrow rims (14mm internal, if i recall well) so with the Overide 35s on, I couldn't really go soft or I would feel the overly squeezed-at-the-bead tire wobble on cornering. Scary stuff! It only makes sense that I update now, cheers for pointing it out! This being said, @LewisQC, any chance you will show up at the Audax Endurance Ride in the Laurentians in october?